Rep. Mario Diaz-Balart (R-FL) minced no words when expressing his dismay over the outgoing President’s decision to end automatic residency for Cuban refugees to reporters. 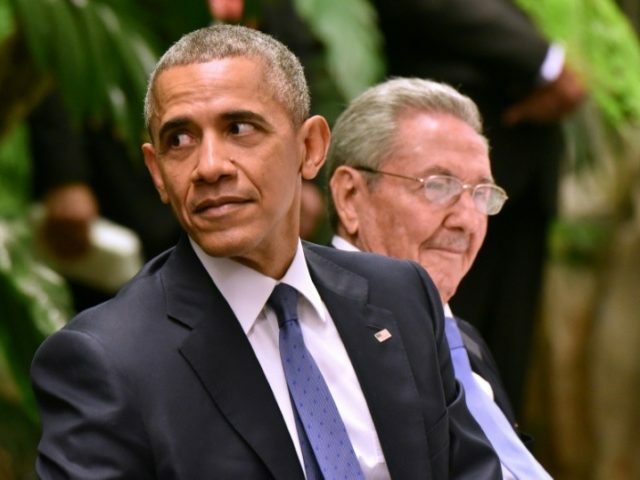 “If I see a picture on Friday of President Obama massaging Raul Castro’s feet, really, with fuzzy little gloves, massaging his feet, that wouldn’t surprise me. Because this president has no limit when it comes to bowing down, appeasing and giving concessions to Castro or to other enemies of the United States,” Diaz-Balart said. “You would think that he would be concerned about those who commit fraud in the United States and then go back to Cuba. You would think that his priority would be the national security of the United States or the Cuban people, but once again his priority is obviously pleasing Castro,” he charged.